The toffee bars were a failure. It started well enough. The margarine and sugar had melted together the way they should. First, the yellow, translucent, buttery top laid over and soaked the brown sugar. The grains of sugar mounded and washed away, a golden beach as I swirled the melted margarine around the pot in gentle waves. Then the bubbles started rising from the bottom of the pot, struggling one at a time through the beach, fighting to reach the surface, popping inches away from each other in slow succession. Then suddenly there was a flurry of bubbles, the whole surface covered with layers, bubbles climbing on top of each other and slipping back down and climbing again before releasing. The surface tension was high as the concoction got stickier. The toffee coated the back of my wooden spoon. It looked right. 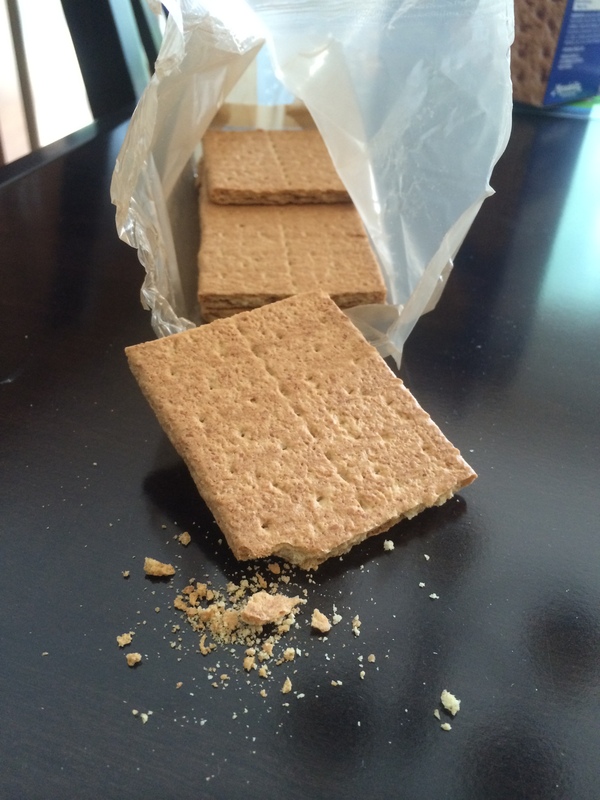 I poured the sugar-butter over little graham cracker rectangles and immediately knew something was wrong. Instead of gliding over the surface of the crackers and then settling in, it sank fast, soaking it all. It looked mushy and bloated like Cheerios left in milk half a morning before being cleared away. I sprinkled pecans over the top, already worried that I had wasted them. I put the tray in the oven. It smelled right. What should have come out of the oven was a sheet of glossy rectangles, the toffee mixture still bubbling around the edges. I should have been able to let it cool for a few moments and then been able to use a spatula to slide them off the cookie sheet. I would have had to stretch the first few apart because they would have still been too warm, and they would have gotten little taffy tendrils off their edges. As I worked to the back, those toffee bars would have cracked apart cleanly. If I had waited any longer, I would have shattered the last crackers into jagged shards because they sat too long. I would have shoved those broken bits in my mouth to test the batch. A half an hour after that I would have dipped them halfway in chocolate. Eventually, they would have made it to the freezer, and I was going to steal one in the morning as an unhealthy breakfast and maybe a few more after the kids were in bed. Instead they came out matte. Soggy. The spatula shoved them around without being able to lift them. I pinched a bit to taste. It had the texture of old, badly made pancakes saturated with unremarkable bland sweetness. This is a eulogy for the toffee bars as they used to be, when I could make them with real butter, before I knew that dairy made pain travel up and down my arms and creep behind my right eye. I’ve used soy cream cheese and ground nuts, Fleischman’s unsalted margarine, vegetable oil and coconut milk to give back to myself those things I’ve had to give up. I’ve made milkshakes, pumpkin pie, lemon knots, carrot cake, chocolate tarts, sugar cookies, cherry cobblers. But something about the chemical properties here didn’t work out. I’m at a loss for how this simple recipe failed so badly. Some things you can’t replace. Some things are lost, no matter how much you wish that wasn’t so. Goodbye, toffee bars. The best I can do for you now is to remember you, fondly and well.